Bible in schools: the opposition of prominent educationalists. Auckland, State Education Defence League, 1926. 16 p. (This tract lists the views of several prominent politicians and educators, including Algie). Report on certain aspects of legal education. Auckland, Auckland University College, 1933. 66 p.
Journalists and the law relating to defamation: a summary of two lectures, delivered in the School of Journalism. Auckland, Auckland University College, School of Journalism, 1935. 24 p. (Cover title: The law of defamation). Auckland Provincial Freedom Association: the aims and objects of the organisation. R. M. Algie, organiser. Auckland, Auckland Provincial Freedom Association, 1938? 8 p.
Ministerial control. Auckland, New Zealand Freedom Association, 1939. 16 p.
The British Empire. Auckland, New Zealand Freedom Association, 1940. 35 p.
The British Parliament. Auckland, New Zealand Freedom Association, 1940. 26 p.
Democracy and its modern rivals. Auckland, New Zealand Freedom Association, 1940. 39 p.
Democracy and our economic system: a compilation of views and opinions prepared for consideration and study. Auckland, New Zealand Freedom Association, 1940. 31 p.
Democracy: some views and opinions. Auckland, New Zealand Freedom Association, 1940. 28 p.
The government and the banks. Auckland, New Zealand Freedom Association, 1940? 55 p.
The holding of elections. Auckland, New Zealand Freedom Association, 1940? 25 p.
The Statute of Westminster: its background, purpose and content: a compilation of views and opinions. Auckland, New Zealand Freedom Association, 1940? 21 p.
The development of the British Commonwealth: some views and opinions. Auckland, New Zealand Freedom Association, 1941? 21 p.
The economic problem: conservative and labour opinions: a summary of the views expressed by Mr Geoffrey Crowther. Auckland, New Zealand Freedom Association, 1941?. 32 p.
Our way of life: an address to young New Zealanders: a few thoughts on democracy. Auckland, New Zealand National Party, 1941? 7 p.
The socialisation of the land: an examination of the policy of the Labour government, 1936-1940. Auckland, New Zealand Freedom Association, 1941. 45 p.
The State and the Small Farms Ac: soldier settlement or state socialisation. Auckland, New Zealand Freedom Association, 1941. 48 p.
Developments in foreign relations: opinions upon certain important questions. Auckland, New Zealand Freedom Association, 1943?. 29 p.
Meetings of shareholders. In New Zealand Institute of Secretaries. Two addresses to secretaries. Auckland, Wilson & Horton, 1945. 16 p.
Critical examination of the functioning of Parliament. Journal of Public Administration (Wellington) v. 8 no. 2, March 1946, p. 14-21. Committee on Foreign Affairs. World Affairs (Wellington) v. 2 no. 3, September 1946, p. 23-24. Masterless Europe. World Affairs (Wellington) v. 3 no. 2, June 1947, p. 7-9. Stricken troubled Europe. World Affairs (Wellington) v. 3 no. 3, September 1947, p. 11-12. Palestine: a test case. World Affairs (Wellington) v. 3 no. 4, December 1947, p. 7-8. Committee on Foreign Affairs. World Affairs (Wellington) v. 4 no. 1, March 1948, p. 17-19. Majority principle. World Affairs (Wellington) v. 4 no. 3, October 1948, p. 17-18. New approaches to Commonwealth relationships. World Affairs (Wellington) v. 4 no. 4, December 1948, p. 22-24. Views related to the function and limits of the state in modern society. Journal of Political Science (Wellington) v. 1 no. 3, November 1949, p. 39-42. Minister discusses his task. National Education (Wellington) no. 32, February 1950, p. 4-5. True education: that boys and girls should learn how to live, not merely how to earn a living: extracts from a speech delivered at a civic reception in the city of Nelson, Thursday, 15th June, 1950. Nelson, Stiles & Co., 1950. 7 p.
Crisis in education. New Zealand Listener v. 24 no. 606, 9 February 1951, p. 7. Government’s view of science. New Zealand Science Review no. 10, September 1952, p. 146-147. Report of the Constitutional Reform Committee. Wellington, Government Printer, 1952. 48 p. (AJHR 1952 I-18). (Algae was co-chair of the Committee). Report of the Juvenile Delinquency Committee. Wellington, Government Printer, 1955. 29 p. (AJHR 1955 I-15). (Algie was chair of the Committee). Some thoughts on elections. Salient (Wellington) v. 23 no. 9, 9 November 1960, p. 1-2. Report of the Delegated Legislation Committee. Wellington, Government Printer, 1962. 13 p. (AJHR 1962 I-18). (Algie was chair of the Committee). Government in action. The New Zealand Constitution, by K. J. Scott. Reviewed by the Hon. R. M. Algie, Speaker of the House of Representatives. New Zealand Listener v. 48 no. 1226, 22 March 1963, p. 18. The Speaker. In Politics in New Zealand: a symposium. Political Science (Wellington) v. 15 no. 2, September 1963, p. 14-17. Who’s Who in New Zealand. 1st edition (1925), 5th edition (1951)–11th edition (1978). Aldis, Morton. Socialism, capitalism and freedom: a reply to Professor Algie and the Freedom Association. Auckland, Auckland Fabian Club, 1938. 5 p.
Wilmot, Denis. A professor in politics: introducing R. M. Algie, M.P. for Remuera. New Zealand Magazine (Wellington) v. 22 no. 6, November-December 1943, p. 3-5. Political profile: Mr R. M. Algie. Here and Now (Auckland) no. 51, June 1956, p. 11-13. Valedictory. Parliamentary Debates v. 349, 21 October 1966, p. 3564-3584. (Includes remarks made on the retirement of the Speaker, Sir Ronald Algie). Sir Ronald Macmillan Algie (b. 1888). In Makers of Auckland (1871-1971). Auckland, Wilson & Horton, 1971, p. 1. Rose, Jim. Sir Ronald Algie. New Zealand Alpine Journal v. 32, 1979, p. 102-103. (Obituary). Algie, Hon. 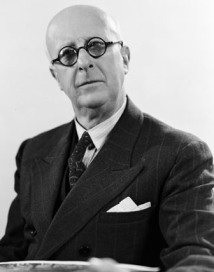 Sir Ronald (Macmillan). In Who Was Who. Volume 7, 1971-1980. London, A & C Black, 1981, p. 13. Sinclair, Keith, McNaughton, Trudie. A history of the University of Auckland, 1883-1983. Auckland, Auckland University Press, Oxford University Press, 1983. 364 p. (Includes references to R. M. Algie). Mathieson, Gordon. Distinguished ex-staff of Paeroa District High School. Ohinemuri Regional History Journal no. 35, September 1991, p. 32-33. (Includes R. M. Algie). Templeton, Hugh. Algie, Ronald Macmillan, 1888-1978. In The Dictionary of New Zealand Biography. Volume 4, 1921-1940. Auckland, Auckland University Press; Wellington, Dept of Internal Affairs, 1998, p. 7-9. Te Ara - the Encyclopedia of New Zealand https://teara.govt.nz/en/biographies/4a8/algie-ronald-macmillan. Algie, Sir Ronald Macmillan (1888-1978). In The New Zealand Oxford Dictionary, edited by Tony Deverson and Graeme Kennedy. Melbourne, Oxford University Press, 2005, p. 25. Coote, Brian, Brown, Bernard J., Watts, Peter, Kinsler, Sean. Learned in the law: the Auckland Law School, 1883-2008. Auckland, Legal Research Foundation, 2009. 213 p.
(Includes references to R. M. Algie). Sir Ronald Macmillan Algie (1888-1978). In Biographies of former and current Speakers of the New Zealand House of Representatives. 2013. https://www.parliament.nz/media/2269/biographies-of-all-speakers.pdf. Ronald Algie. In Wikipedia. 2018. https://en.wikipedia.org/wiki/Ronald_Algie. Ronald Macmillan Algie (1888-1978). In Millett, Tony. The Millett – Algie connection. Takapuna, 2018, p. 21-30. http://tonymillett.tripod.com/algie.html. Te Puna Search (New Zealand’s National Union Catalogue). https://tepuna.on.worldcat.org/discovery. New Zealand National Bibliography to the year 1960. Compiled by A. G. Bagnall. Wellington, Government Printer, 1969-1985. 5 v.
Current National Bibliography of New Zealand Books and Pamphlets 1950–1965. New Zealand National Bibliography 1966–1980. Index to New Zealand Periodicals 1941–1980.